Specialist Aluminium Pressure and Gravity Diecasters accredited to BS EN ISO 9001:2008, certificate number 1548/97, GLEN GASTINGS LTD, can supply your aluminium die casting requirements. Ability to produce samples and rapid aluminium prototypes using a combination of traditional skills in our sand foundry and the very latest technology of CAD/CAM and rapid prototyping. A family owned and managed aluminium casting business for almost 60 years, serving a wide range of industries, we have gained and gathered the knowledge and experience to enable us to tailor to your individual company needs. Concentrating on small, medium size aluminium casting runs, 2,000 to 100,000 pieces at economical prices. Our co-operation with several local toolmakers producing value for money tooling at comparatively low costs. Which means you, the customer, can have the advantages of pressure diecasting e.g. accuracy, less machining and finishing, for quantities normally restricted to gravity and sandcastings, we mainly offer drainage products and cast aluminium garden furniture. 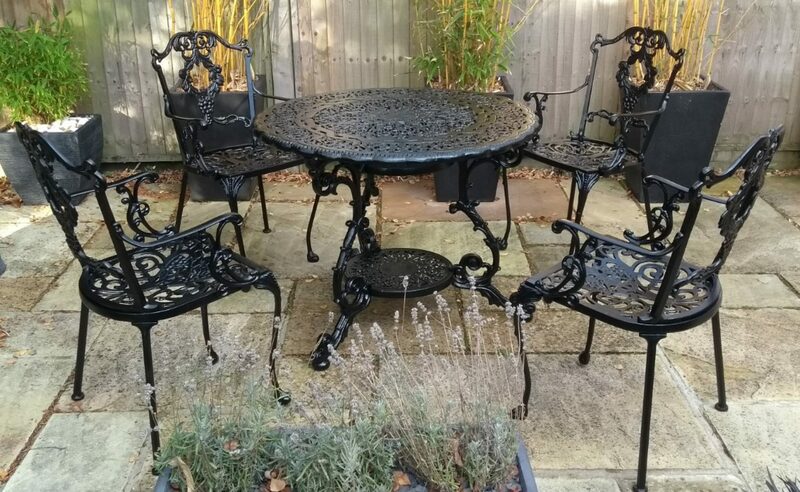 We manufacture our own range of aluminium Jardine garden furniture in Victorian designs and we make own brand aluminium patio furniture for major UK retailers. We are committed to offering you, the customer, QUALITY SERVICE AND ASSURANCE by the use of our large plant list including a family range of 12 pressure diecasting machines with locking forces, 280, 330 and 500 tonnes, and a wide variety of vibratory and barrelling finishing machines, sawing, drilling and tapping machines. A site of 4.5 acres which houses a 34,000 square foot factory floor means we have the facilities and ample room for storage of all castings for you, the customer, to be able to have a call-off option on your products. We have easy access throughout the UK with the Motorway Networks of M66, M62, M65 and M6 on our doorstep, offering you a reliable delivery service. All staff fully trained in all aspects for aluminium diecasting, grinding, drilling and assembly ensuring you of a quality aluminium product. We are registered as INVESTORS IN PEOPLE.